The Uintah is ColcaSac's first shoulder bag, built with thick rugged hemp and lined with protective fleece to keep your stuff safe and sound. 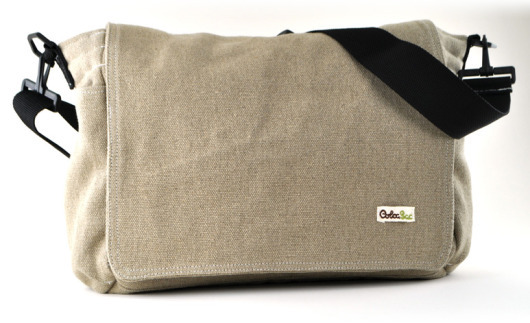 The Uintah shoulder bag is inspired by Jack Bauer from the TV series 24 and it's modified to fit both a MacBook or iPad. The Uintah is available now in a natural hemp color for $160.